This thread is basically a repository for some small tools that I wrote to help with various small tasks. They do ONE thing and one thing only. This tool allows you to edit the Visual Proxy (VPXY) resources contained in a package file, easily and quickly. 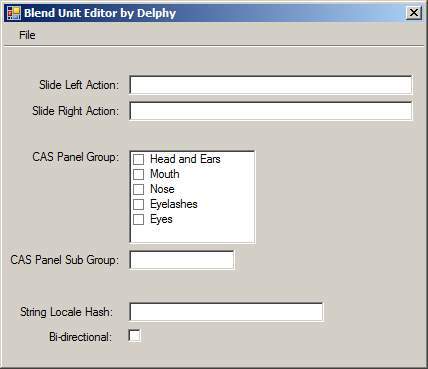 This tool allows you to edit the Facial Blend files that tell CAS which BGEO and VPXY to use for a specific blend. This is used in CAS sliders and so forth. 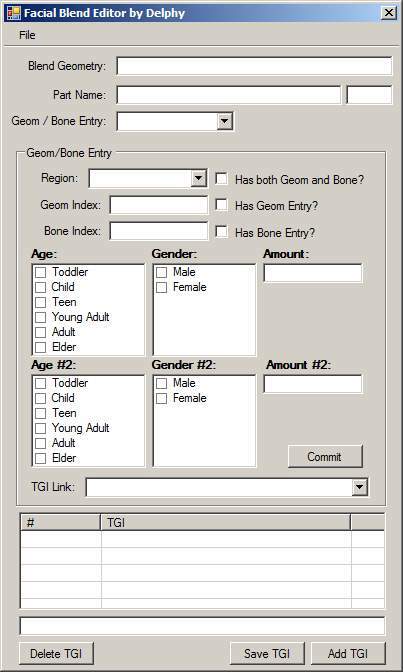 This tool allows you to edit and change the Bone Deltas associated with a specific slider, add your own, and basically make sliders linked to bones do stuff. This tool basically allows you to edit the simple BlendUnit files, which tell CAS which FacialBlends to use for a particular direction of a slider. 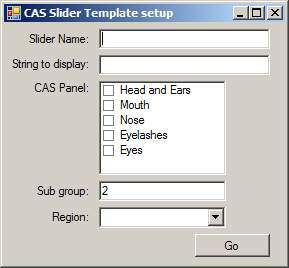 This tool sets up everything you need to create a custom CAS Slider using the tools above. It automatically links together the Blend Unit, Facial Blend, VPXY and Bone Delta to create a Slider that works for a Sim. 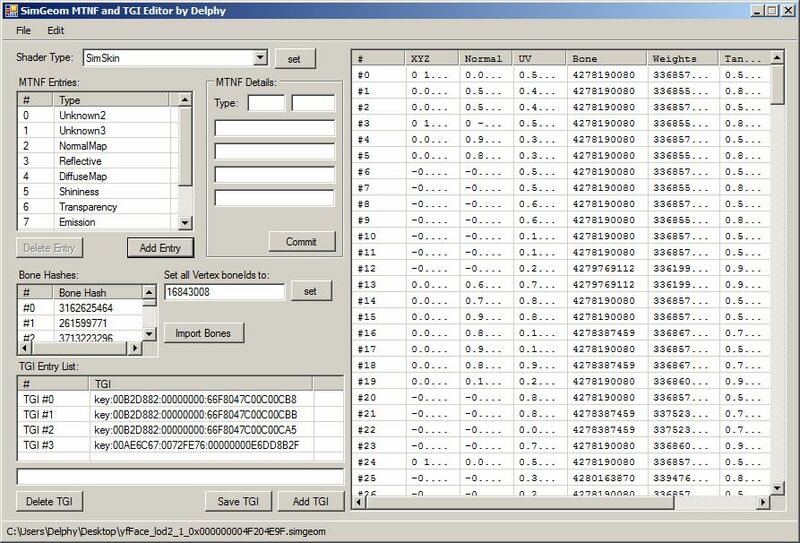 Please note that the strings generated by this tool are only English US - other languages aren't generated but can be copied easily enough using S3PE or any other STBL editor. Also note that the "default" Slider WILL require changing and editing for it to work. This was previously in the Accessories thread, but basically it lets you alter the MTNF (Material) chunk of a SimGeom file and can "fix" meshes where the comments section was lost in Milkshape, and thus they dont work correctly. Currently only editing is allowed - no adding or deleting of MTNF entries. However, you can change the TGIs, the Shader type, and Export/Import the bone references. Handy for the aforementioned comments loss. This allows you to edit the slots on objects, as part of changing animations, slots and the like. It can be used in conjunction with the RIG editor to do some cool stuff. All tools require .NET Framework 2.0 to be installed. These can be linked to S3PE if required using the helpers framework. All of these should work on XP, Vista and Windows 7 - both 32bit and 64bit versions. Please let me know if I missed one.